On inequality Skidelsky makes an unfortunate (though not uncommon) choice to base his presentation largely on the work of Thomas Piketty, who has based a simple theory of macroeconomics and distribution on a foundation of untenable theory and (in this reviewer’s opinion) exaggerated metrics. To be fair, Skidelsky is aware of Piketty’s theoretical weakness and is only a consumer of his data; those issues are thus better dealt with elsewhere. In summary, however, it can be shown that rising U.S. inequality was largely a product of rising capital asset prices (the stock market, real estate), which were themselves driven by financial forces. 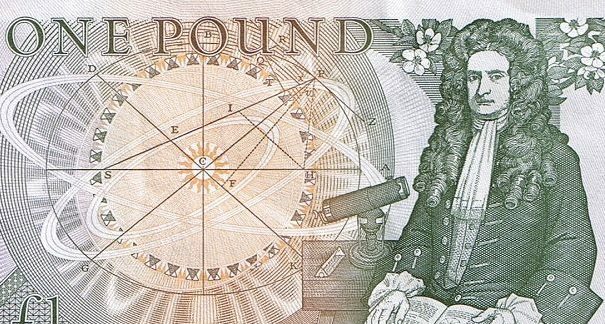 It is therefore illusory to locate the collapse of finance in the rise of inequality, since the rise of inequality was an artifact of the rise of finance in the first place. Yes, inequality and financial macroeconomics are related. Contrary to the mainstream view that holds them as wholly distinct, they are actually two aspects of the same thing. On finance per se, Skidelsky has the instincts of a gentleman and the manners of a parliamentarian, and these are not what circumstances require. He accords respectful pages to the flimsy propaganda of “efficient markets” models, and then treats the ensuing debacle as an artifact of greed, “loosened” regulation, and, in the most damaging phrase I could find, a “loosening of moral restraints.” The true story is much worse. It involves fraud, criminality, collusion, and cover-up, one of the most appalling hijackings of government by money in all recorded time. The assumption here, perhaps only for purposes of argument, is that the relevant parties—the government’s regulators and their supporting economists—were merely mistaken but operating in good faith. The evidence to the contrary, however, is far too strong. In the chapter on global imbalances, Skidelsky takes up one of the most transparently self-serving ideas to emerge from the crisis, namely Ben Bernanke’s deflection of blame to the Chinese. In his story, China’s “excess saving” allegedly upset an otherwise finely balanced and wisely administered “Great Moderation,” which was itself the product of stable and credible policies by—you guessed it—the world’s central bankers and especially the Federal Reserve. How those subversive Chinese savers managed to penetrate their own country’s capital controls is not clear. Nor was it the People’s Bank of China that loaded up on toxic derivatives fabricated by Lehman Brothers from liars’ loans. The notion also overlooks the fact that the Great Moderation was an artifact of imbalance in the first place: it was made possible by the willingness of the world to hold U.S. dollar assets as their reserve, and so to support the long-standing deficit in the U.S. current account. Regardless, the larger problem with the “global imbalance” story is that it presumes some normal state of global balance, within which the Great Moderation might have continued. This is just the sort of long-run equilibrium illusion against which Skidelsky correctly warns us earlier on. Skidelsky closes with thoughts on how political economy might be revived. The task is indeed urgent; who can deny it? He writes that the great crisis should have shifted attention from inflation to financial instability but has not done so, and this is correct. But the facts point to an intractable problem: those whose attention cannot be shifted by the collapse of their own worldview are simply beyond reach. This is a problem for the universities, who are stuck with entire departments of stranded intellects, enclosed upon themselves, well-funded by outside sponsors, and a danger to the sound instruction of students and to the future of the world. In the decade since the financial crisis, not one so-called top economics department has hired a single senior professor who had accurately foretold the calamity to come. It should be evident, by this point, that this is not accidental. If political economy is to have a future, it must therefore come from outside the presently walled fortresses of high-end academe. Salt water and fresh water—the “mainstream” shorthand for Harvard, MIT, Stanford, and Chicago—are sterile. The backwaters, on the other hand, are full of life. Post-Keynesians, New Pragmatists, Biophysical Economists, Institutionalists, and especially Modern Monetary Theorists are scattered throughout the diaspora of liberal arts colleges and second-tier state universities, as well as in universities abroad, from Australia to Poland to Brazil. They have been busy. Skidelsky is aware of these movements, and indeed he participates in them. But he does his readers a bit of a disservice here by making only passing references to them, and in some cases only to express mild disapproval. A deeper question also remains concerning the scope of political economy in the future. Financial instability isn’t merely about money and markets. It’s about the governance of banks, about supervision and countervailing power, about defining and enforcing public purpose, about achieving social balance between public and private needs. Political economy must cover the great questions of social stabilization—of preserving and reviving the welfare state—which touch deeply on inequality and on the future of nation-states and international unions, as in Europe. It must address the paramount issues of resource depletion and climate change, and the pressing requirements of achieving and preserving peace. In these matters, economics needs a full integration of macroeconomics with a structural approach, superseding the abstract and barren “micro” altogether. Let me gently suggest that the path forward should be in the spirit of the ideas offered half a century ago by my father, from which economics recoiled at that time. Yet the path not taken remains the essential one. 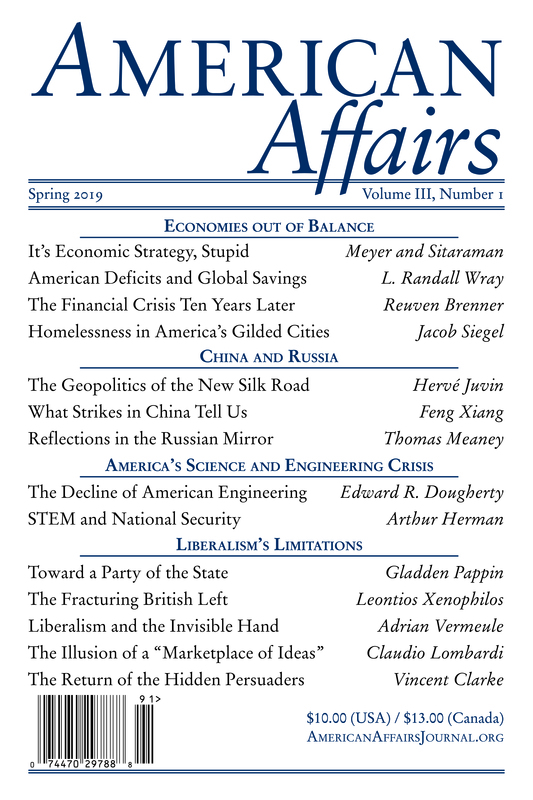 This article originally appeared in American Affairs Volume II, Number 4 (Winter 2018): 79–86.